Energold CEO and president Fred Davidson describes the company as a global drilling solutions provider, in the sense that if a client requires services for any type of drilling mission Energold will find a way to bring success on the project. With a large rig fleet and a global footprint of active operations Davidson has future-proofed the company by diversifying it into four main divisions; minerals, energy, water and infrastructure, and a manufacturing department. Having suffered at the hands of volatile commodity prices in the last half a decade, as did the majority of service providers, Energold is now in a position to prosper across sectors and manage the downturns. Often drilling providers specialise in one area, be it minerals or energy there aren’t many that bridge the divide. Davidson is taking a new approach to Energold’s offering by becoming experts in new processes and therefore unlocking new markets, and earning potential, utilising the existing fleet. Energold uses the same rig fleet that it drills for minerals and oil and gas in the winter to work on geothermal and infrastructure projects, such as water wells or cable laying, in the summer, keeping the crew busy and the machines active. 2016 was Energold’s quietest year in terms of revenue since it hit a peak in 2012 of $141 million. The decline is a reflection of a low commodity price environment and the fall in oil prices experienced over the last few years, with last year’s drilling revenue coming in at $65 million. The mineral side of the business has been growing over the last 18 months but under-utilisation of the fleet means there is a lot of capacity to bring in more business and push an expansion plan over the next couple of years. As well as conventional drilling rigs, Energold manufactures an innovative ‘man-portable’ modular drilling machine which facilitates drilling in some of the most hard to reach places on earth. Where a project is located without access to infrastructure or roads, Energold’s modular rigs can be taken apart, transported to the site and assembled with the same efficiency and performance of a regular drill. This innovation has opened up whole new markets for Energold, particularly on the geotechnical side, where Davidson says the man-portable rigs are ideal for this specific type of work. The acquisition of UK-based Cros-Man Underground has also enabled the company to penetrate the market with horizontal drilling for the installation of pipelines and fibre optics. It is a highly profitable and growing sector and Davidson is hoping to use that avenue to expand further into the US on the back of a booming defence sector. Not happy with cracking America, Davidson is also planning to showcase the technology to worldwide clients at their request. 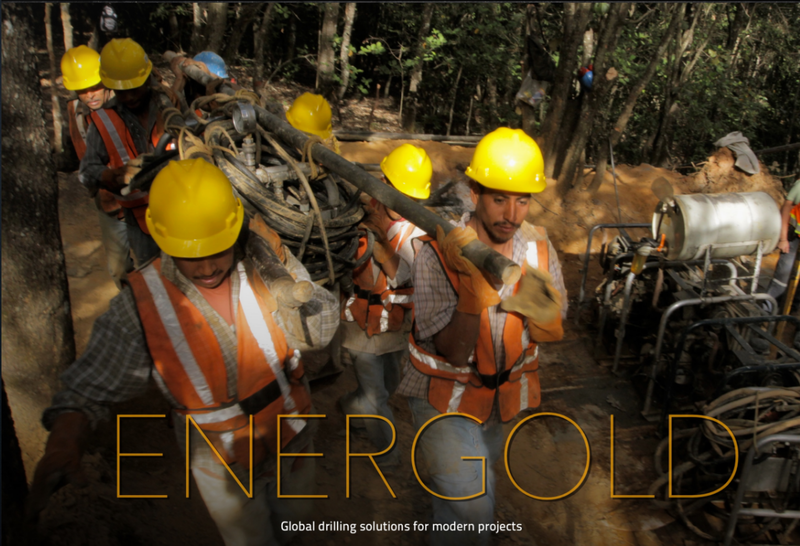 Energold has a wide footprint of active operations. Predominantly drawing revenue from operations in Mexico, the Caribbean and Central America, Energold also operates in North America, South America, Europe, Africa and Asia. However, there are lots of considerations to be taken into account when you operate in foreign regulatory environments which can differ vastly from more established nations. Davidson has vast experience of working in frontier regions and he puts any success down to the openness and inclusivity of the approach that is taken. “We have worked in some of the most exotic places. We have the experience of going into a place like Yemen, Eritrea or Colombia. And because of these small rigs we’ve developed employ a lot of locals it makes a dramatic impact on the social community. Our modular rigs reduce automation and are portable therefore reduce environmental footprints and preserve the locals’ homes. Therefore, locals do not feel alienated but rather part of the programme,” says Davidson. “The bulk of our workers witness first-hand the benefit we bring to their world – through employment, commerce, with a minimised environmental footprint. It’s not some foreigners pulling a big rig through their fields, and that’s really important. Energold’s operations in Mexico are a first class example of these values being put into practice – the workforce is 450-strong and there is only one ex-pat. That isn’t just for the low-level jobs but running right up to senior management. Davidson explains that it is the type of culture Energold wants to breed in all its foreign endeavours. While there is a long way to go before the mining industry returns to the boom period we saw in 2012, with lots of active exploration and recovering commodity prices, it does appear there are green shoots in the market and that is having a positive effect on Energold’s balance sheet. In that peak year Energold drilled 428,000 mineral meters and 450,000 energy meters with a rig utilisation at 75%, while revenue was up to $141 million. This year so far (Q1 and Q2) revenue sits at $36 million for around 21,000 mineral meters and just under 150,000 energy meters. Although those numbers are on the back of 35% rig utilisation. “We are optimistic of a recovery. I don’t think we will see a hockey stick type recovery, but we are clearly seeing improvements. Most of the mining industry is adapting to the new world and I think are diversification is going to allow us to expand more rapidly than the minerals or energy side would alone,” predicts Davidson. Energold has made strategic investments to keep its current fleet active in areas which are not presently economical so that when the market does lift it is ready to service a client at a moment’s notice without having to ship drill rigs in, which can lose a driller a contract. For example, Energold has maintained its presence in Peru, where last year it did not drill a single metre but that has already paid dividends with five active rigs in 2017 and Peru is now one of its strongest markets. “We are targeting the $150 million revenue range and that is assuming our utilisation will not be at 75% in minerals. Oil and gas will make recoveries and we are seeing an expansion of some of our green energy and geotechnical work,” concludes Davidson.